I mentioned in an earlier entry that I was loving the 90s logo tees, a look that is making a revival. I also mentioned that it would be a look that I would continue to rock throughout the spring/summer season. So it’s no surprise that I would feature the logo tee, yet again. 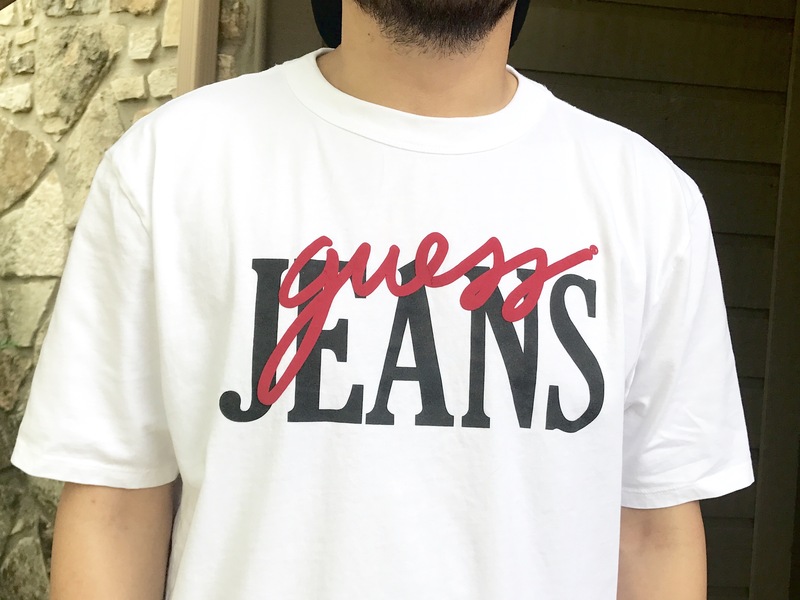 A stop at my local PacSun ended in the purchase of another Guess original logo tee from their capsule collection. The retro script logo is the epitome of the 90s, something that obviously caught my attention. I also knew the fact that it was white would make it perfect for the hot days to come. That turned out to be true, because I ended up wearing it on a hot and humid Saturday. 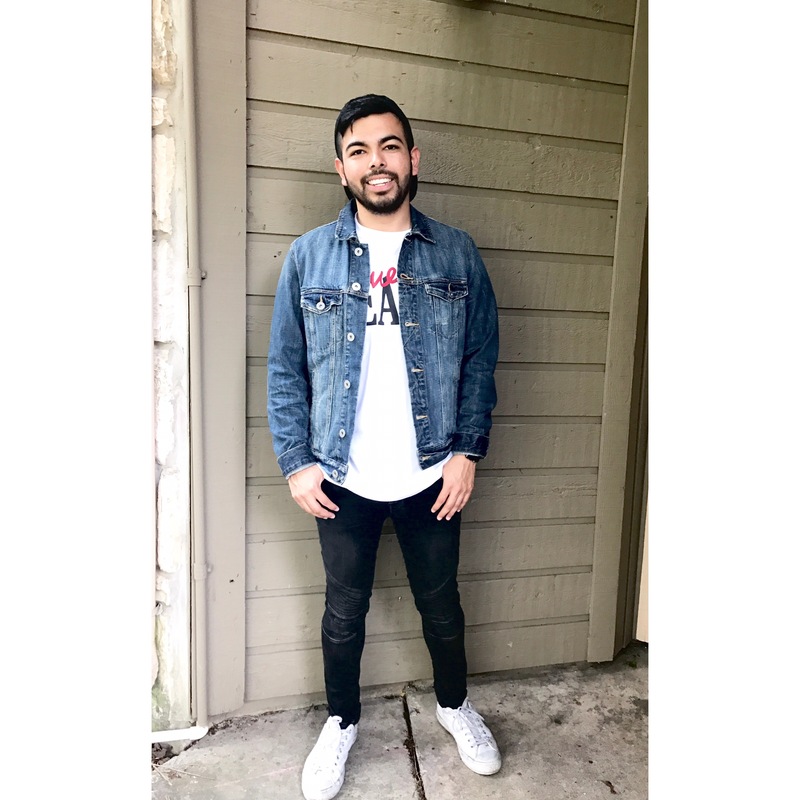 I paired my oversized white tee with my matching white converses and balanced out the white with my moto black skinny jeans from Zara, black cap and a denim jacket. 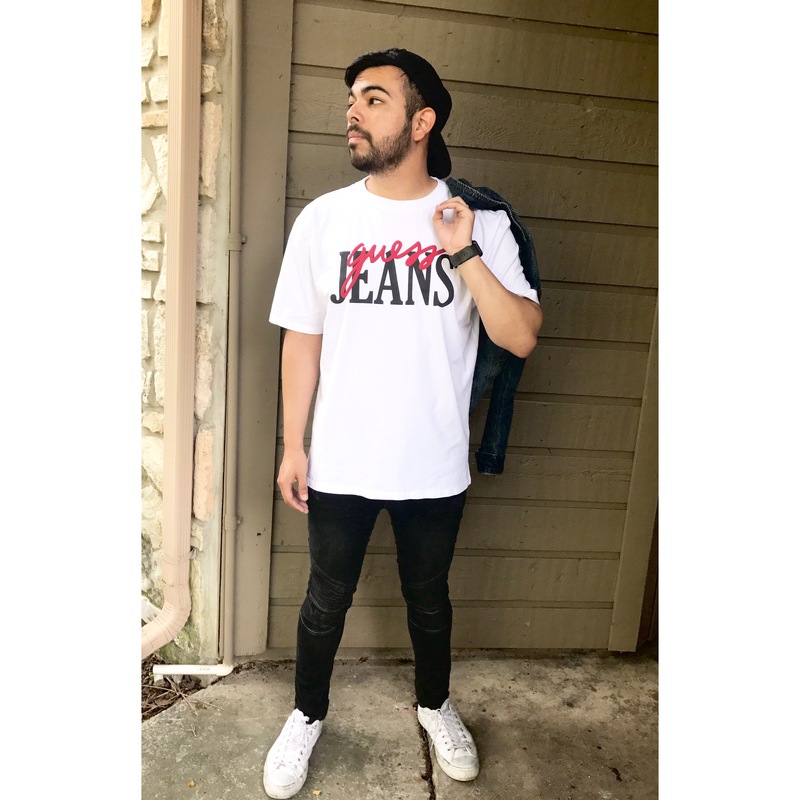 If you haven’t started adding these 90s throwback logo tees to your wardrobe, you better get to it! Find the Guess capsule collection at Guess, PacSun or Urban Outfitters.